(Capitol Records) Yellowcard is back with a followup to their huge release Ocean Avenue. Paper Walls is very similar, but with less emphasis on the violin and a bit more variety and musical growth than their last disc. My favorite track on the release is “Light Up The Sky” which I think has the same potential as “Ocean Avenue”. A couple of the songs “Shadows and Regrets” and “Dear Bobby” go for emotional sentiment and just come out sounding cheap and bathetic. 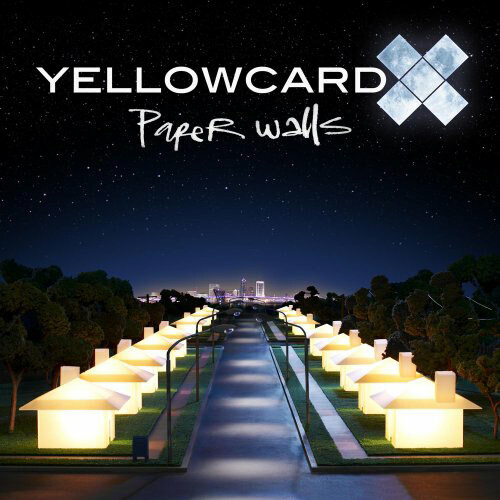 Overall I really like Paper Walls and the unique sound that Yellowcard brings to punk-pop.